Garuda Aviary is happy to welcome Rosie, Green Guy & Bernard into our flock. 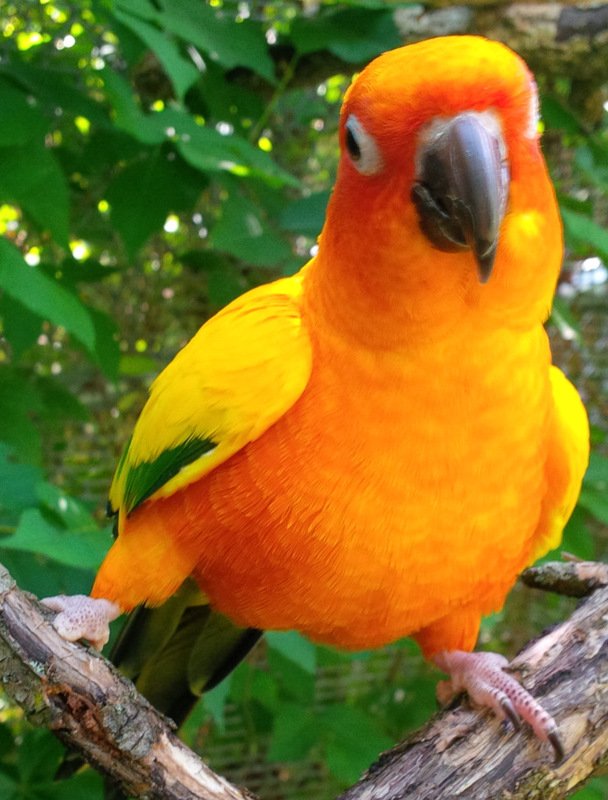 Rosie is a spirited and energetic Sun Conure. While otherwise physically normal, she has a deformed foot with only one rear toe. But she doesn’t let that slow her down. Rosie calls relentlessly for attention and will climb up the arm and onto the shoulder of anyone that responds. 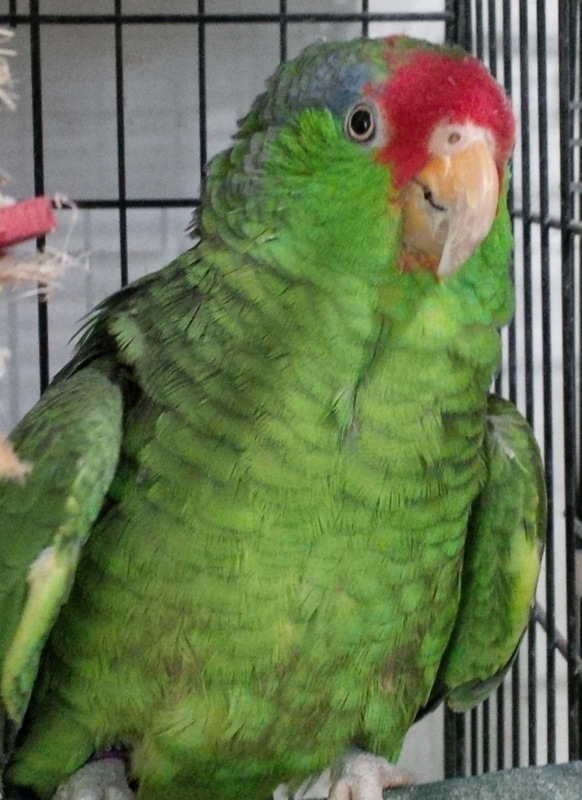 Green Guy is a shy and reserved Red Crowned Amazon that does not “step up” (perch on a human’s hand) and does not like to be touched. He’d rather stay in the back of his cage and play with his toys. But like most Amazons, Green Guy has a large repertoire of curious calls and noises. Rosie and Green Guy were the last two occupants in a home that was being foreclosed. When a kind couple came to look at the empty and unheated house, they found these two parrots in a dimly lit room. The owner offered them to the couple for free because they were all about to become homeless. Green Guy was not eating well due to of a mildly deformed beak. The new foster parents took him to the vet to have his beaked reshaped. After his beak was corrected, Green Guy ate and ate and ate… and hasn’t slowed down yet. Their foster parents knew that they could only take proper care of these two for a limited time. An exhaustive search for the proper home led them to Garuda Aviary. We at Garuda Aviary would like to thank this compassionate couple for opening their hearts and securing a positive future for these sensitive and deserving creatures. Meet Bernard. 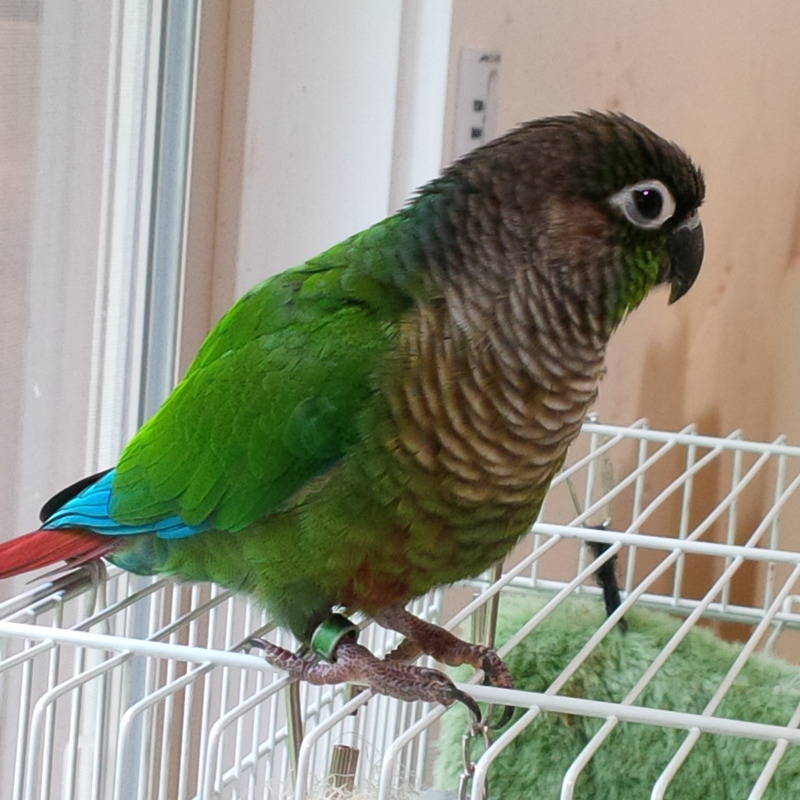 He’s an adorable little Green Cheek Conure. But this little guy has a big problem. His temper! He bites with enough ferocity and aggression to make caring for him very difficult. Bernard’s owners were at their wit’s ends trying to give him a good life. His aggression made interaction nearly impossible. Bernard has special needs. Garuda Aviary is here to provide special care.